We’re very excited to welcome Joyce Connor as a judge for Brush Wars 2018. Joyce has a 22 year background in the cosmetic industry. Her love of make up started out while she was living in New York. Joyce visited all the make up counters each week to get an insight into make up brands and make up application, and she fell in love with the industry. Joyce is an international, award winning make up artist and beauty expert. Joyce specialises in hair and make up for fashion, lookbooks, testing, commercial, bridal, video and corporate and actor headshots. She regularly speaks on BBC Radio Berkshire and writes beauty articles for online blogs and print magazines. 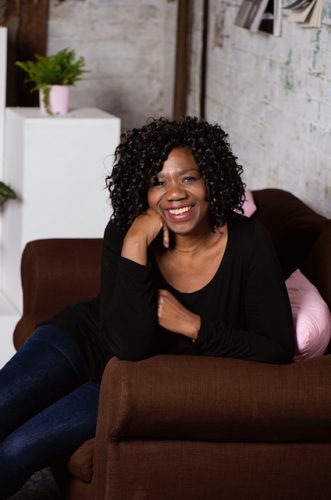 Joyce is passionate about education having herself completed training in the U.K., New York and Paris, she believes education is important to stay up to date in the industry. She is a diversity and inclusion campaigner and regional coordinator for the cancer charity Look Good Feel Better. Look Good Feel Better run skincare and make up workshops for women with cancer. Joyce runs the workshops in Reading and Newbury hospitals. Joyce has trained staff for Viseart Cosmetics, and worked at IMATS, Pro Beauty, Olympia Beauty, Dragworld and Beauty Con with Make Up brands such as Make Up Atelier Paris, Viseart, Kit Stars Brushes, Youngblood Mineral Cosmetics, Glamcor and Lime Crime. Being a make up artist is all about passion for Joyce. She supports other make up artists and is a qualified educator, helping artists new to industry. Joyce encourages new make up artists to try new ideas and think outside the box. She is the key make up artist for bridal designer brands Eliza Jane Howell, Lilybella Bridal, Rita Colson and Gill Harvey. Joyce works with these brands on a regular basis to create the looks for their advertising and commercial campaigns. Joyce is also regularly published in Pride Magazine for her work with black fashion models.